Yes, and a best-selling author’s latest work, a podcast reborn as a book, a collaboration of world-class violists and even tales of brave Icelandic seawomen — at this festive time of year, University of Washington faculty creations can make great gifts for the Dawg on your shopping list. Charles Johnson, “The Way of the Writer: Reflections on the Art and Craft of Storytelling.” Johnson, National Book Award-winning author of “Middle Passage” and longtime professor of English, discusses his art in a book stemming from a year of interviews. “There is winning sanity here,” the New York Times wrote: “Johnson wants his students to be ‘raconteurs always ready to tell an engaging tale,’ not self-preoccupied neurotics.” Published by Simon & Shuster. Marisol Berríos-Miranda, Shannon Dudley and Michelle Habell-Pallán, “American Sabor: Latinos and Latinas in U.S. Popular Music / Latinos y Latinas en la musica popular estadounidense“ An extraordinary exhibit at the Smithsonian and Seattle’s Experience Music Project (now Museum of Pop Culture) comes to life as a book, detailing Latino influence on American popular music from salsa to punk, Chicano rock to the Miami sound. 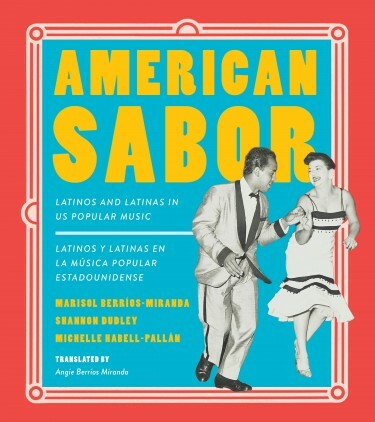 Berrios-Miranda is an affiliate associate professor of ethnomusicology, Dudley an associate professor of music and Habell-Pallán an associate professor in the Department of Gender, Women and Sexuality Studies. It’s a dual-language volume — English on the right side, Spanish on the left. 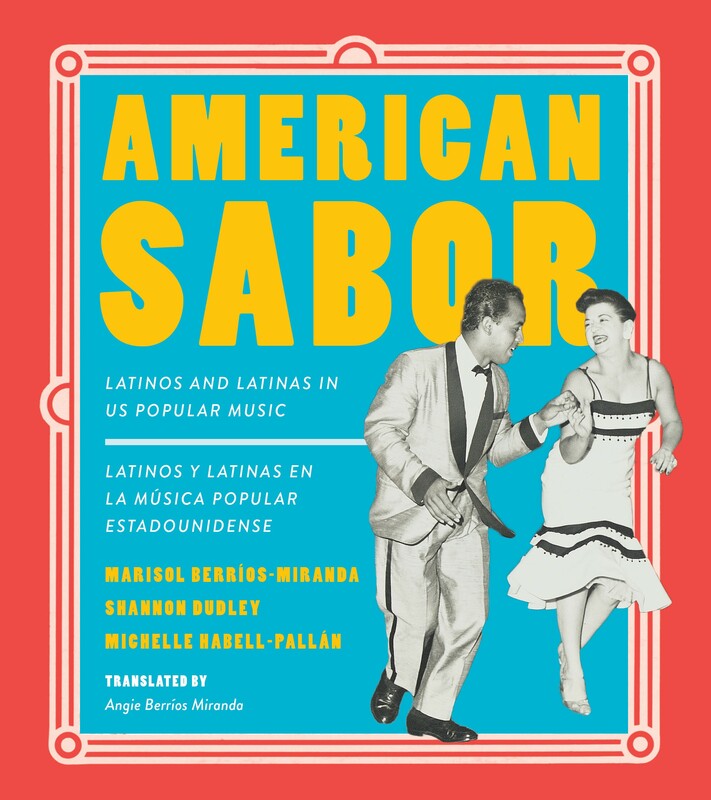 And as a bonus the authors have created an American Sabor playlist on iTunes and Spotify; the book flags specific songs with a playlist icon. Published by University of Washington Press. 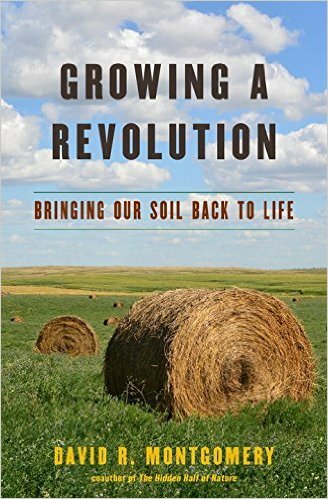 “Growing a Revolution: Bringing Our Soil Back to Life” by David R. Montgomery was published in 2017 by W.W. Norton & Co. Inc.
David R. Montgomery, “Growing a Revolution: Bringing Our Soil Back to Life.” Montgomery, a professor of Earth and space sciences, won praise for his popular 2007 book “Dirt.” Several books later he returned in 2017 with this view of environmental restoration based on three ideas – “ditch the plow, cover up, grow diversity.” Kirkus Review said Montgomery’s well-expressed views “will convince readers that soil health should not remain an under-the-radar issue and that we all benefit from embracing a new philosophy of farming.” Published by W.W. Norton & Co. Inc.
Margaret Willson, “Seawomen of Iceland: Survival on the Edge.” Willson is an affiliate associate professor of anthropology and the Canadian Studies Arctic Program. In her years working as a deckhand she came across historic accounts of a woman sea captain known for reading the weather, hauling in large catches and never losing a crew member in 60 years of fishing. “And yet people in Iceland told me there had been few seawomen in their past, and few in their present,” she said. “I found this strange in a country of such purported gender equality. This curiosity led to the research and all that came from it.” Published by University of Washington Press. 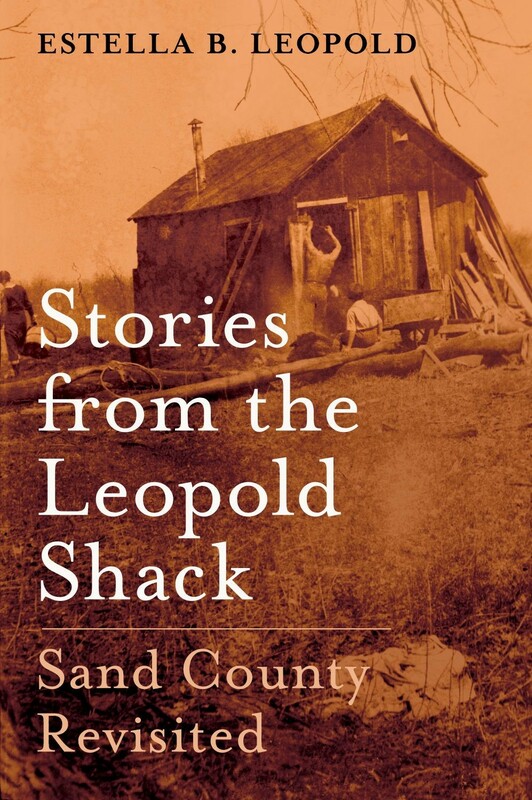 Estella Leopold, “Stories from the Leopold Shack: Sand County Revisited,” by Estella Leopold, daughter of conservationist Aldo Leopold, was published by Oxford University Press. 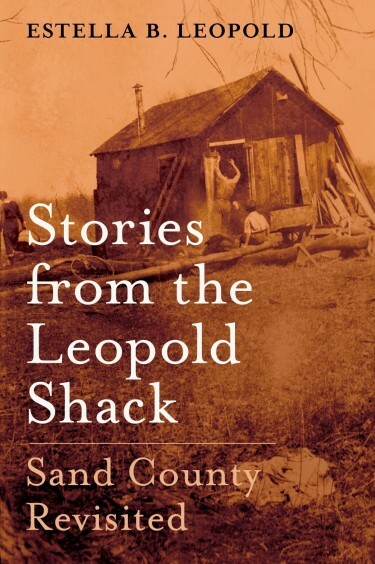 Estella Leopold, “Stories from the Leopold Shack: Sand County Revisited.” Leopold is professor emeritus of biology and the youngest daughter of Aldo Leopold, who wrote the 1949 classic of early environmentalism, “A Sand County Almanac.” She returns to scenes of her Wisconsin childhood in this follow-up, describing her life on the land where her father practiced his revolutionary conservation philosophy. Published by Oxford University Press. David Shields, “Other People: Takes & Mistakes.” Shields is a professor of English and the best-selling author of many books, starting with his 1984 novel “Heroes.” In 2017 he brought out this collection of essays that the New York Times called “a triumphantly humane book” and him “our elusive, humorous ironist, something like a 21st century Socrates.” The paper’s praise continued: “He is a master stylist — and has been for a long time, on the evidence of these pieces from throughout his career. . . All good writers make us feel less alone. But Shields makes us feel better.” Published by Knopf. Joseph Janes, “Documents that Changed the Way We Live.” The year 2017 saw Janes’ popular podcast “Documents that Changed the World” become a book under a slightly different title. Janes is an associate professor in the Information School who writes here about the origin and often evolving meaning of historical documents, both famous and less known. Some of his favorite “documents” are Sen. Joseph McCarthy’s fictional list of communists, the Fannie Farmer Cookbook and the backstory to what’s called the Rosie the Riveter poster. Published by Rowman & Littlefield. Frances McCue, “Timber Curtain.” Well-known Seattle poet, teacher and self-described “arts instigator,” McCue is a senior lecturer in English. She was a co-founder of Hugo House, a place for writers, and served as its director for 10 years. Those experiences fuel this book of poems about the changing nature of the city. “This is Seattle. A place to love whatever’s left,” she writes. Published by Chin Music Press. Scott L. Montgomery, “The Chicago Guide to Communicating Science, Volume Two.” Scientific research that doesn’t get communicated effectively to the public may as well not have happened at all, says geoscientist Montgomery in this second volume of a popular 2001 book. A prolific writer, Montgomery is a lecturer in the Jackson School of International Studies. “Communicating is the doing of science,” he adds. “Publication and public speaking are how scientific work gains a presence, a shared reality in the world.” Published by University of Chicago Press. Odai Johnson, “London in a Box: Englishness and Theatre in Revolutionary America.” The true cultural tipping point in the run-up to the American Revolution, writes Johnson, a professor in the School of Drama, might not have been the Boston Tea Party or even the First Continental Congress. Rather, he suggests, it was Congress’ 1774 decision to close the British American theaters — a small act but “a hard shot across the bow of British culture.” Published by University of Iowa Press. Melia Watras, “26.” Music professor Watras offers a collaboration from of world-class violists performing and sharing their own compositions with each other. Her own playing has been described in the press as “staggeringly virtuosic.” Richard Karpen, School of Music director, is among several guests. The title comes from the number of strings on the instruments used: two violas, one violin, and the 14-string viola d’amore. Released on the Sono Luminus label. Cuong Vu 4-Tet, “Ballet: The Music of Michael Gibbs.” A live collaboration between Vu, UW Jazz Studies chair, and renowned jazz guitarist Bill Frisell, who is an affiliate professor with the School of Music. Recorded in 2016 at Meany Theater, Vu and Frisell were joined by artists in residence Ted Poor on drums and Luke Bergman on bass. Released on RareNoise Records. 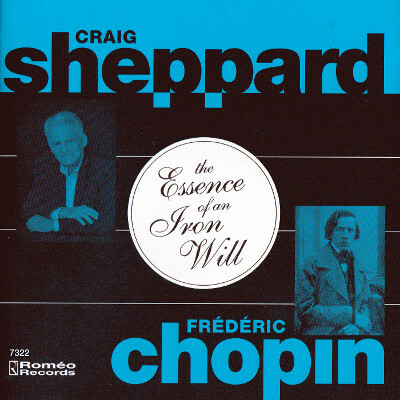 In “Chopin: The Essence of an Iron Will,” Craig Sheppard, longtime professor of music and a world-class pianist, plays sonatas and mazurkas by Frederic Chopin recorded live at Meany Theater in February 2017. Craig Sheppard, “Chopin: The Essence of an Iron Will.” Sheppard, longtime professor of music and a world-class pianist, plays sonatas and mazurkas by Frederic Chopin recorded live at Meany Theater in February 2017. The Seattle Times said of an earlier Chopin concert of Sheppard’s that his playing featured “exquisite details … it was playing that revealed layer after layer of music in each piece, as if one were faceting a gemstone. Released on Romeo Records. Research on poverty and the American suburbs in “Places in Need: The Changing Geography of Poverty,” by Scott Allard, professor in the Evan School of Public Policy & Governance. Literature meets science to contemplate the geologic epoch of humans in “Anthropocene Reading: Literary History in Geologic Times,” co-edited by Jesse Oak Taylor, associate professor of English. A popular science exploration of machine learning and the algorithms that help run our lives in “The Master Algorithm: How the Quest for the Ultimate Learning Machine Will Remake Our World,” by Pedro Domingos, professor of computer science and engineering. A close look at four of America’s electoral adventures in “Pivotal Tuesdays: Four Elections that Shaped the Twentieth Century” by Margaret O’Mara, professor of history. A fully revised second edition of Earth and space sciences professor Darrel Cowan’s popular 1984 book, “Roadside Geology of Washington.” This 378-page paperback is filled with details about Washington state geology. The story of a city’s transition from the Ottoman Empire to Greece in “Jewish Salonica” by Devin Naar, professor of history and Jewish studies. A city that “thinks like a planet” is one both resilient to and ready for the future that the changing Earth will bring, says Marina Alberti, professor in the College of Built Environments in “Cities that Think Like Planets. On the 500th anniversary of the Protestant Reformation, an exploration of faith that results in the common good in “The Spiritual Virtuoso: Personal Faith and Social Transformation,” co-authored by Steve Pfaff, professor of sociology. Calm down from holiday — and tech-induced stresses — by thinking mindfully with “Mindful Tech: How to Bring Balance to Our Digital Lives” by communication professor David Levy. Finally, still-popular and pertinent books from a few years back include the second edition of “Shaping Seattle Architecture: A Historical Guide to the Architects” by Jeffrey Ochsner, professor of architecture; “Mary Randlett Portraits” by Randlett with Frances McCue; “The Weather of the Pacific Northwest” by Cliff Mass, professor of atmospheric sciences; and the ever-popular “Northwest Coast Indian Art: 50th Anniversary Edition” by Bill Holm, professor emeritus of art history. All of these were published by University of Washington Press, which has many other great titles.